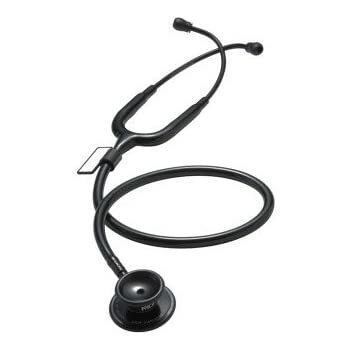 The 3M Littmann Cardiology III stethoscope is a perfect piece for clinicians. 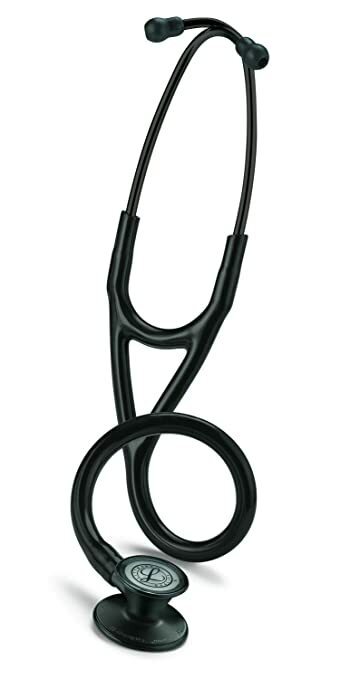 The Littmann Cardiology III stethoscope remains one of the best-purchased tools in the medical field. This medical device offers its users a tunable diaphragm on both sides. These tunable diaphragms, helps its users to obtain an exceptional acoustic reading. •	There is more versatility in converting the pediatric side of the device to an open bell for low frequencies. You should include the non-chill bell sleeve. •	The dual-sided chestpiece in the Littmann provides a variety of auscultation for both adults and kids. •	The Littmann Cardiology III provides two tunable diaphragms. These diaphragms capture high, and low frequency sounds when lightly moved. •	There is a two-in-one tube design that helps eliminate the interference of noise when outer tubes rub against each other. •	It comes with an anatomically designed headset, which is angled to meet the ear canal path. Currently, the 3M Littmann Cardiology III has 4.6/5 stars from Amazon reviews. 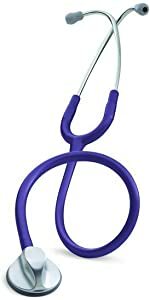 Littmann Lightweight II stethoscope remains amongst the best stethoscope for nurses and nursing students over the years. This entry-level medical instrument is available in the market for an affordable price. The Littman Lightweight comes with a tunable diaphragm and a dual-sided chestpiece. With this device, student and nurses can carry out an excellent acoustic reading for blood pressure. It also comes in a teardrop shape to ensure that the task at hand is quickly done. •	The Littmann Lightweight weighs about 118 grams, which makes it the lightest adult Littmann stethoscope available in the market. •	The stethoscope provides solid acoustic performance when taking blood pressure reading, and making some physical assessments of adult patients. •	It comes in a teardrop shape to ensure that blood pressure reading is quickly done. •	Its tunable diaphragms respond to the slightest pressure, and when it does, it could capture both low and high frequency sounds dependent on the tuning. •	The Littmann Lightweight has an anatomically designed headset that is patterned to fit the ear canal path. •	It also has a non-chill rim to provide comfort to the patient. 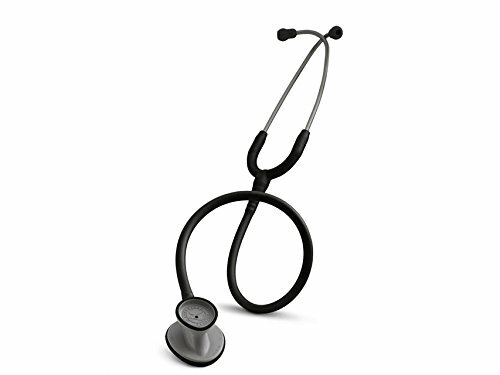 Currently, the Littmann Lightweight is rated 4.4/5 stars by 3,927 reviewers on Amazon. 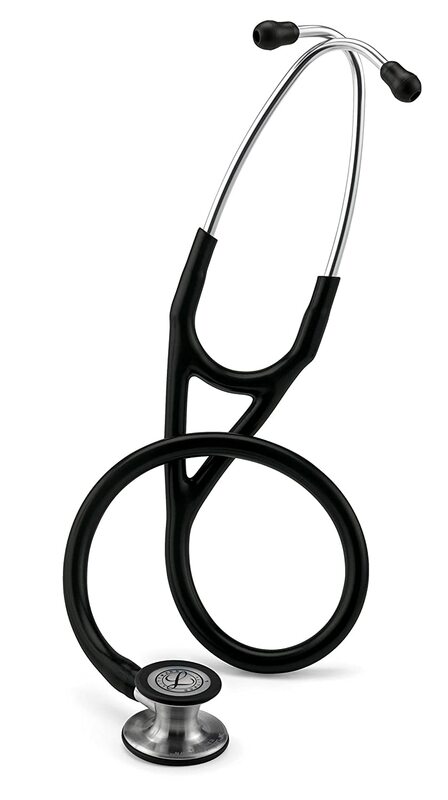 The 3M Littmann Classic II Stethoscope remains a well-designed tool for reading infants in the medical field. 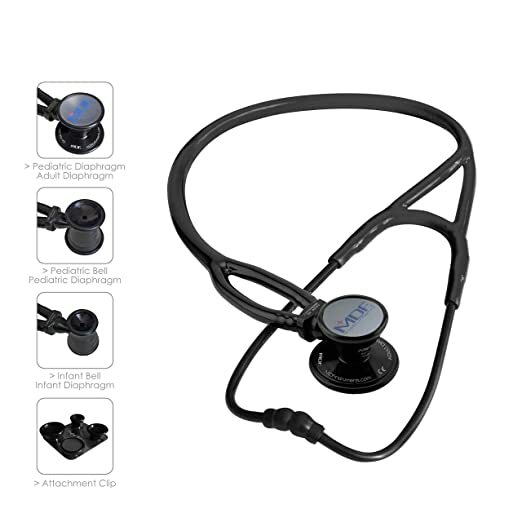 This device, designed in the fashion of all Littmann Classic stethoscopes, is reliable and can be used all day for monitoring, physical assessment, and diagnosis of infants. •	a dual-sided chestpiece with high sensitivity. 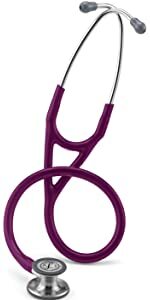 •	The Littmann Classic II comes in a compact design and durable form. 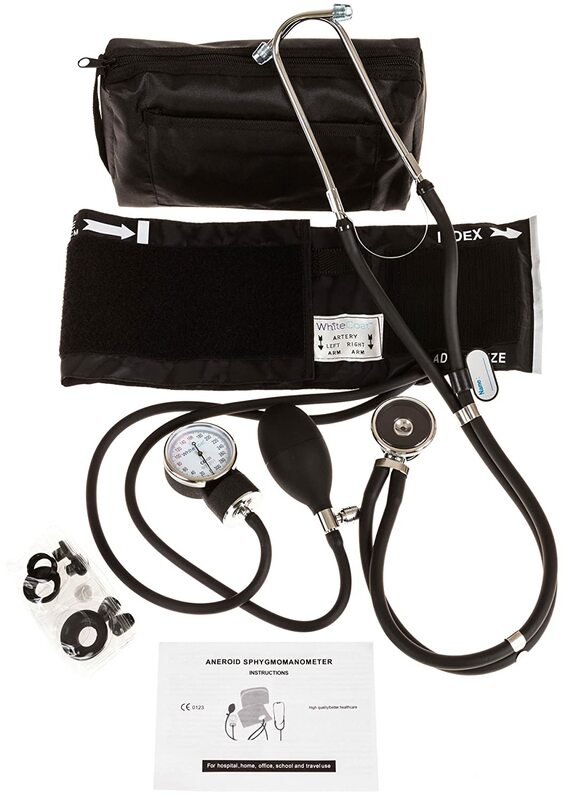 With these features, this tool is ready to offer several auscultation and dependability. •	It has an anatomically designed headset that has been designed to fit perfectly with the ear canal path of any user. •	Its tunable diaphragm responds to slight pressure and delivers high, and low frequency sounds without the chestpiece being turned. •	There is a Latex-free material supplied for allergy sensitive users. 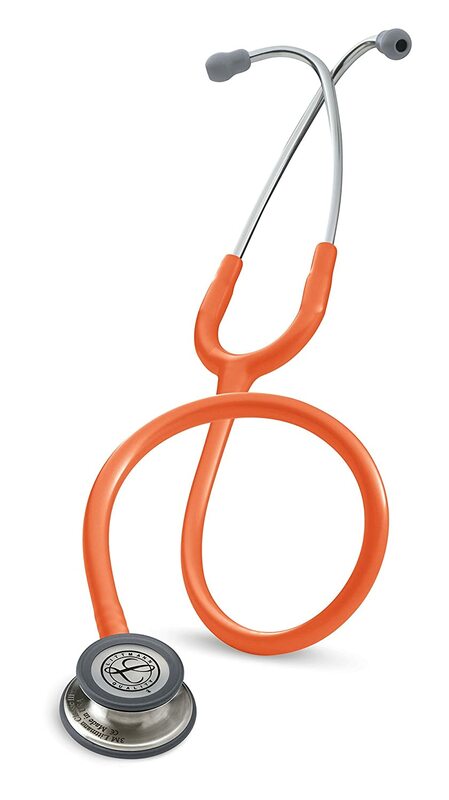 Currently, 361 users rate the Littmann Classic II a 4.5/5 star on Amazon. 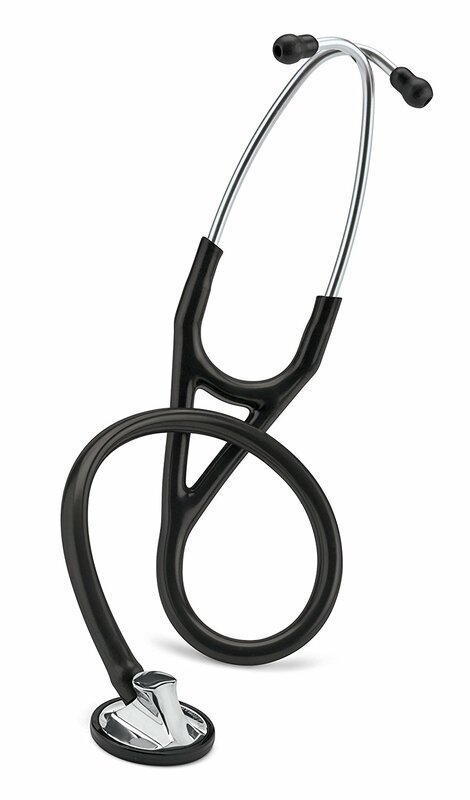 The 3M Littmann Master Classic is an exceptional, cost-effective stethoscope. 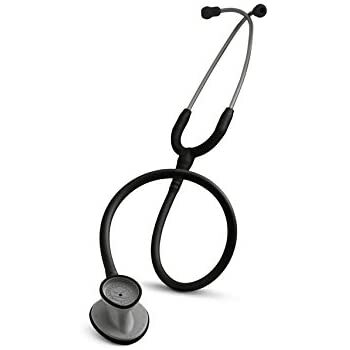 This award-winning stethoscope is uniquely designed to offer professionals in the medical field, a dependable report, and easy-to-use features. •	The Littmann Master Classic comes with a tunable diaphragm, which responds to slight pressure and captures high and low sound frequency. •	It comes with an ergonomic design and an excellent acoustic sensitivity. These key features ensure that its users are can obtain reliable sound reports with ease. •	The Master Classic II has a 1.7-inch chestpiece size. •	It also comes with a well crafted anatomical headset that fits perfectly against the ear canal path. •	The availability of Non-chill rim and diaphragm ensures comfort to patients. •	Also, the Master Classic II has a latex-free material for users with sensitivity allergy. This medical instrument is available for purchase online and has a 4.5/5 star rank in Amazon by users. Technology and render its services for professional users. 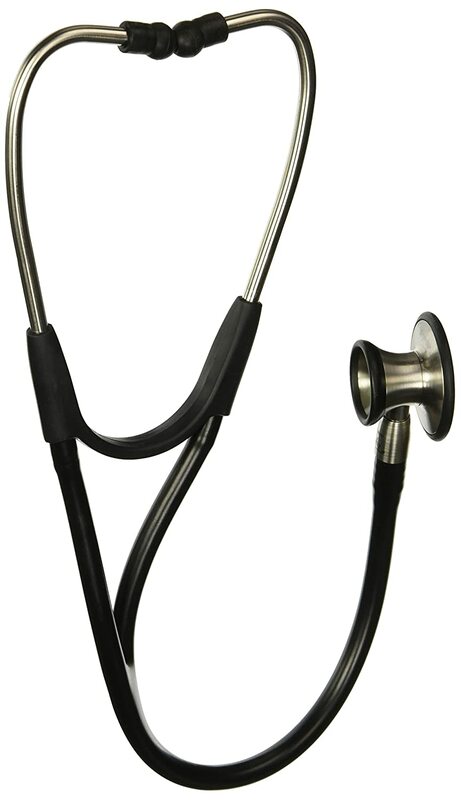 This stethoscope integrates traditional bell acoustic response and diaphragm uniquely. It comes with an oversized chest piece and uses light pressure and firm pressure for low and high sound frequency. •	With it's oversized and well-crafted ovoid chest piece, the acoustic is a CNC precision machine in lightweight zinc alloy. 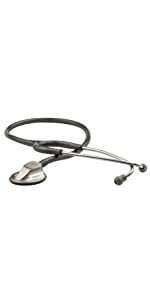 With these materials, the AIDESCOPE 615 Platinum stethoscope provides beautiful performance experience and ergonomics. 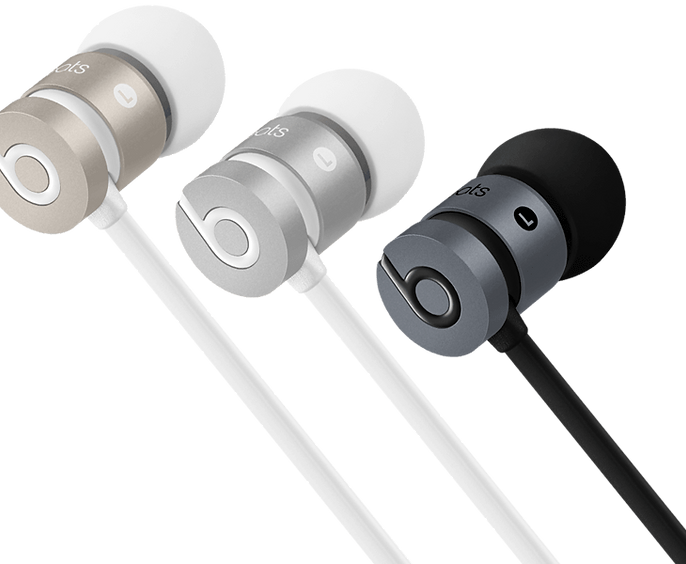 •	It comes with a headset crafted and designed with flexible 22-inch PVC tubing, Adsoft Plus silicon ear tips and stainless binaural. All these materials make the headset of AIDESCOPE 615 the best when it comes to acoustic seal and wearing comfort. •	There is an additional Adsoft Plus ear tips pair, and a scope ID tag. •	When registered, there is a lifetime warranty and free consumables for users. Currently, this stethoscope is given a 4.4 star by reviewers on Amazon. The Littman Master Stethoscope is another masterpiece the Littmann firm has to offer professionals in the medical field. 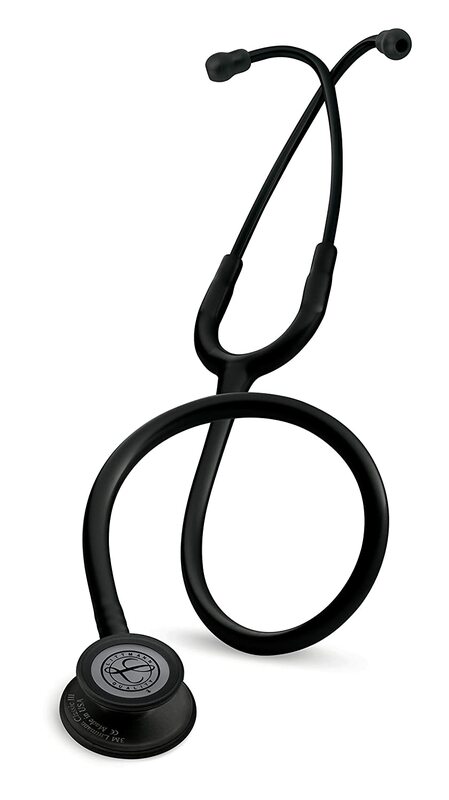 This medical instrument is known as the best acoustic response instrument in the Littmann stethoscope line. This cardiology equipment provides its users many features; these features are listed below. 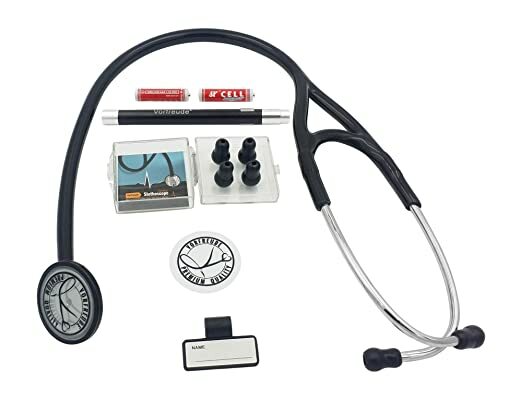 •	The Littman Master stethoscope provides a handcrafted enthralling Chestpiece, which delivers the best acoustic performance in the Littman’s line of Stethoscope. •	Its chest piece comes in a 2-inch size. •	It comes with a special-procedure adaptor for infants and pediatric auscultation. With this feature, the Littman Master stethoscope offers versatility. •	There is a comfortable headset designed for an anatomical purpose, which fits well in the ear canal path. •	Also, the Master stethoscope comes with a tunable diaphragm that easily responds to pressure. The diaphragm efficiently captures low and high sound frequency. This medical instrument has a 4.6/5 star online from online reviewers on Amazon. •	It has a highly sensitive non-chill diaphragm for better amplification. •	Its headset has a reinforcing yoke that is molded into flexible 22-inch PVC tubing. •	The headset comes with a lightweight aluminum binaural in a matching satin finish. 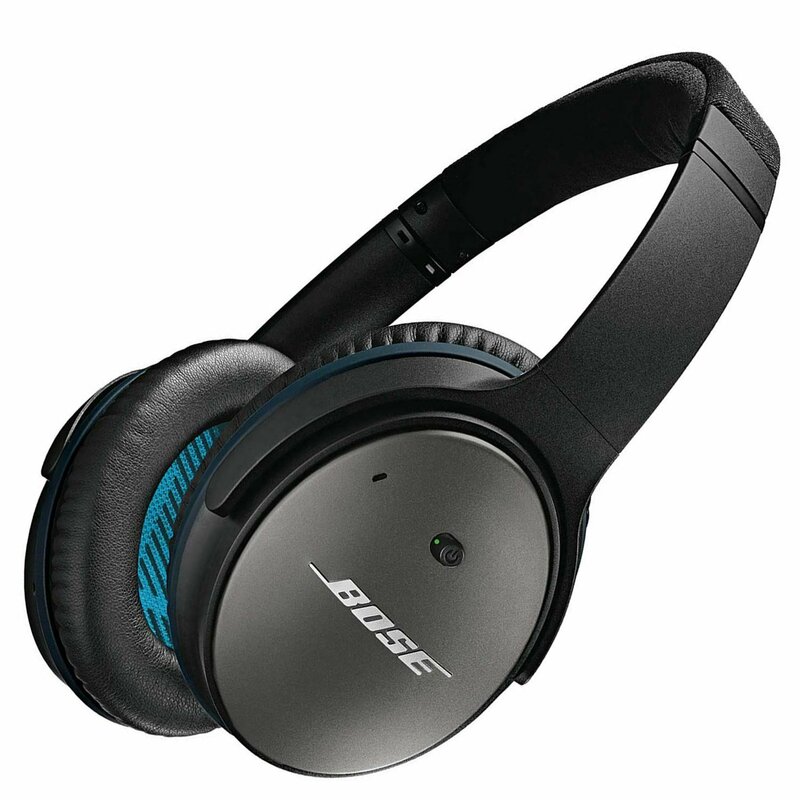 •	Its headset also comes with an ADSoft Plus silicon eartip for the best acoustic seal and wearing comfort. •	The ADSCOPE 609ST comes with an additional pair of Adsoft Plus ear tips. 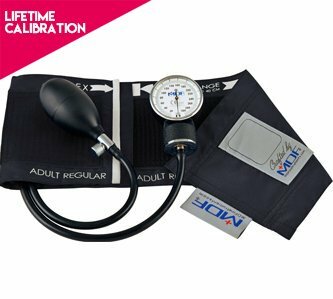 •	The stethoscope comes with a five years warranty and free consumables. 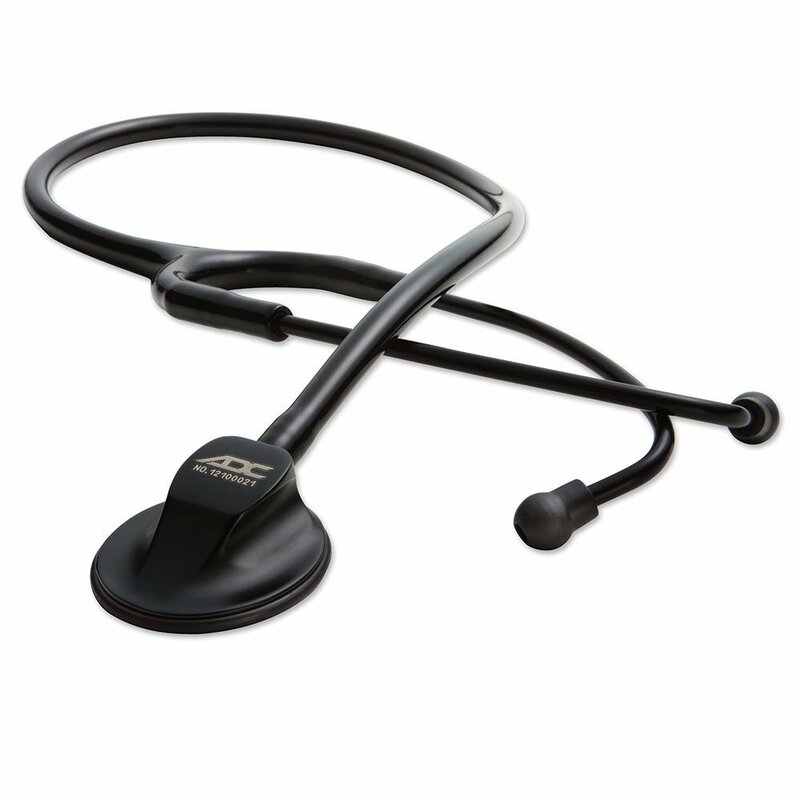 As of recent, the ADC ADSCOPE 609ST Stethoscope has a 4.1-star rating from reviewers on Amazon. With the help of stethoscope advisors, expert rating and reviews, we present to you a list of the best stethoscopes available in the market. It is our desire for those interested in acquiring a stethoscope this 2017, be able to make the right decision. Hence, we have compiled a list of seven stethoscopes that stands out of the crowd and will help our nurses, doctors, and nursing students in their cardiological jobs. The Litmann Cardiology iii stethoscope is soon becoming outdated. Littmann has recently come out with the Cardiology IV, the next generation in cardiology-grade stethoscopes. However the good news for us is that this means sales! As the stock turns over more likely than not the Litmann cardiology ii will be put in a discount, to make room for the newer model. In this article we’ll take a look at how this stethoscope holds up against other leaders in the field. We can’t start off our comparison review without taking a look at our main star. The Littmann cardiology 3 stethoscope. 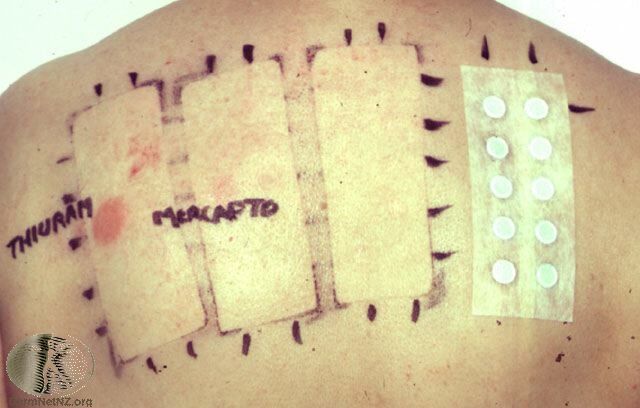 First off it features a dual-sided chest-piece for both adult and pediatric patients. So no need to switch in between auscultations. Secondly this one also features Littmann’s “Tunable Diaphragm”- technology where you can hear high and low-frequency sounds by simply changing the pressure you apply to the chest-piece. The fact that it has a dual lumen tube design, ensures that there is no sound interference from 2 external tubes rubbing together. Lastly the angled headset is designed in such a way that the earpieces align with the path of the ear canal. Offering more comfort to the user! It’s incredibly light, coming in at 13.6 ounces. It comes in a variety of colors and the one featured here is the black version. 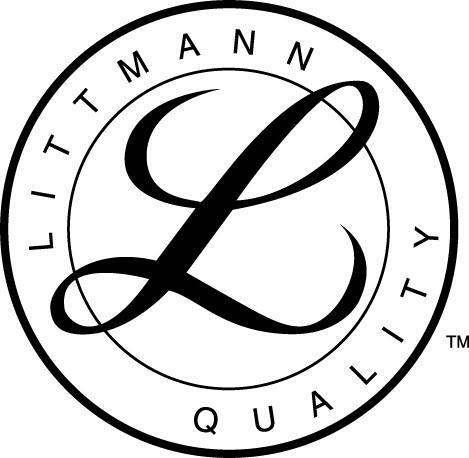 The Litmann cardiology iii has a 5-year warranty and is made in the USA. Now let’s compare this one to some other, cardiology-grade stethoscopes on the market. First up are the MDF stethoscopes. Let’s take a look at MDF’s ProCardial ERA Cardiology Lightweight Dual Head Stethoscope. 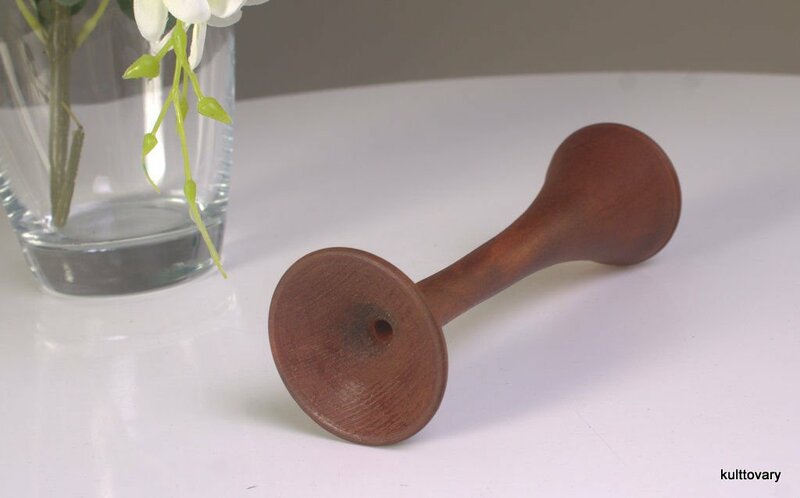 I don’t understand fully why but MDF makes good stethoscopes and I am unsure why people aren’t falling for these beauties more. 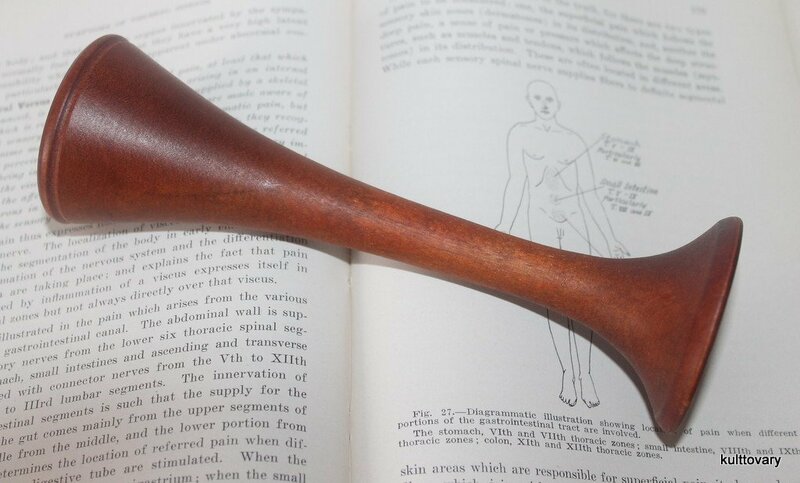 The Procardial ERA stethoscope is also a lightweight, weighing in at 1.25 lbs. However the litmann cardiology iii only weighed 13.6 ounces, which is 0.85 lbs. Score one for Littmann! As is the case with most MDF stethoscopes, this one also comes with a lifetime guarantee. Coupled with a free-spare-parts-for-life program, this more than makes Littmann bite the dust. 1-1 all. 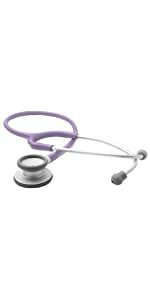 One major point that Littmann has over MDF stethoscopes is that Littmann has the “tunable diaphragm”-technology. It has it patented and uses it throughout their stethoscope lines. The MDF ERA stethoscope comes with a whole host of attachments and interchangeable parts which can have an adverse effect on usability. Plus not to think that you need to store those changeable parts somewhere and they might get lost. I wonder how much their free-spare-parts-for-life program is costing them on a yearly basis! Reports are out there that the tubing is too stiff and the acoustics not what you’d expect from a cardiology grade stethoscope. Looks like the Litmann cardiology iii has got this one in the bag! The Vorfreude stethoscope is Germany’s answer to US’s Littmann. You can see this both in design and funtion. Just pay attention to how the chest-piece of the Vorfreude stethoscope looks like versus the one on any Littmann stethoscope. 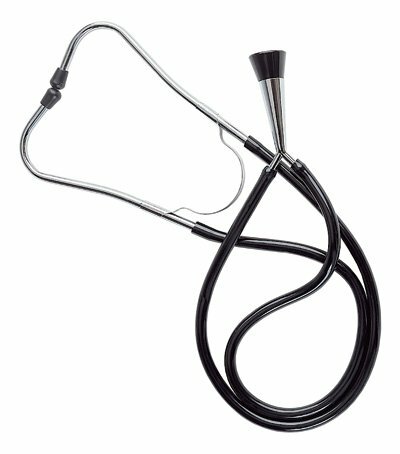 The shape of the stethoscope looks A LOT like a cursively written “L”. However looks don’t say anything about acoustic performance. And this is where Vorfreude really holds their own. Several users online have reported that the acoustic performance of Vorfreude holds up to for example the Litmann cardiology iii. But unfortunately that is where the comparisons end. It seems that the Vorfreude stethoscope is a victim of its low price. While this is an incredibly affordable stethoscope, the finished product leaves a lot to the imagination. after only a few weeks of intensive use, the plastic ring that holds the diaphragm up tends to loosen. As a result the diaphragm pops out. at the same time the earbuds that come with this product tend to fall off again. 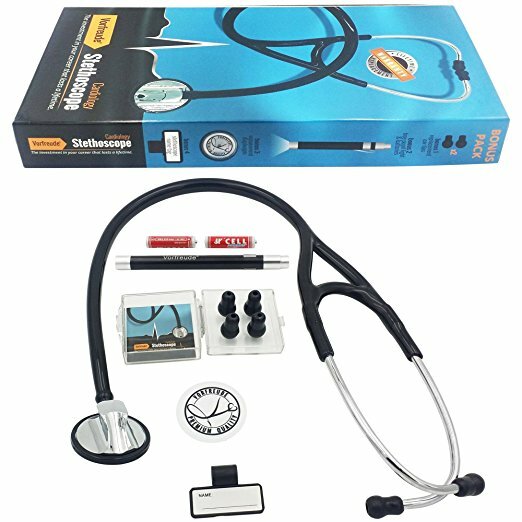 So if you are a hobby-builder or like to construct stethoscopes on a continuous basis, this is the stethoscope for you! 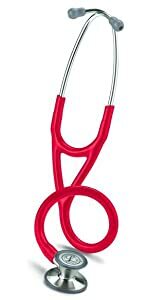 For everyone else, here is the link to the Littmann cardiology 3 stethoscope on Amazon. RA Bock has spent a lot of time and effort in making a copy of the Littmann Cardiology stethoscope-series. And they freely admit this as well. Look-wise, weight-wise and size- wise they are right on the money. Even functionability. 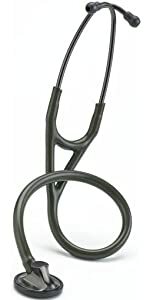 The RA Bock cardiology stethoscope features push-over eartips, just like Litmann. It has a chest-piece that is tunable, just like a litmann cardiology iii stethoscope. They even offer a lifetime warranty that covers the binaurals, tubing and stainless steel stethoscope head. They do state that while diaphragms and eartips wear out over time and are not covered in the lifetime warranty, they’ll sell replacements for less money than it would cost you to pay the shipping on the MDF free-parts-for-life program. Although they didn’t directly mention MDF by name, you can deduct it by the way the text is written. Seems the competition in the stethoscope world is fierce! Upon unboxing however the tubing does feel stiff and there are reports of the bell having fallen off completely from the tubing. I’d stick with a litmann cardiology 3 in this case as well. This is more a confession than a note. I am very well aware that throughout this article I have used “Litmann” with a single “t” compared to Littmann. Which is the correct name for Littmann stethoscopes. However through research I have found that there are more hits in search engines for Litmann cardiology iii than there are for Littmann cardiology iii. Hence to bring this article and information to the masses, I have used the wrongly written “Litmann” throughout. I hope you forgive yet enjoy! Blood pressure monitors come in a variety of shapes and sizes. So how can you be sure you got the best blood pressure monitor for your money? Read on and find out how! In the next few chapters I’ll try and separate the good from the bad and the beautiful from the ugly in the world of blood pressure monitors. Amongst sphygmomanometers, another, more scientific name for blood pressure gauges, there is a wide variety. Depending on what and where you intend to use your monitor, your choices will be largely based on whether you want an alaog or a digital device. 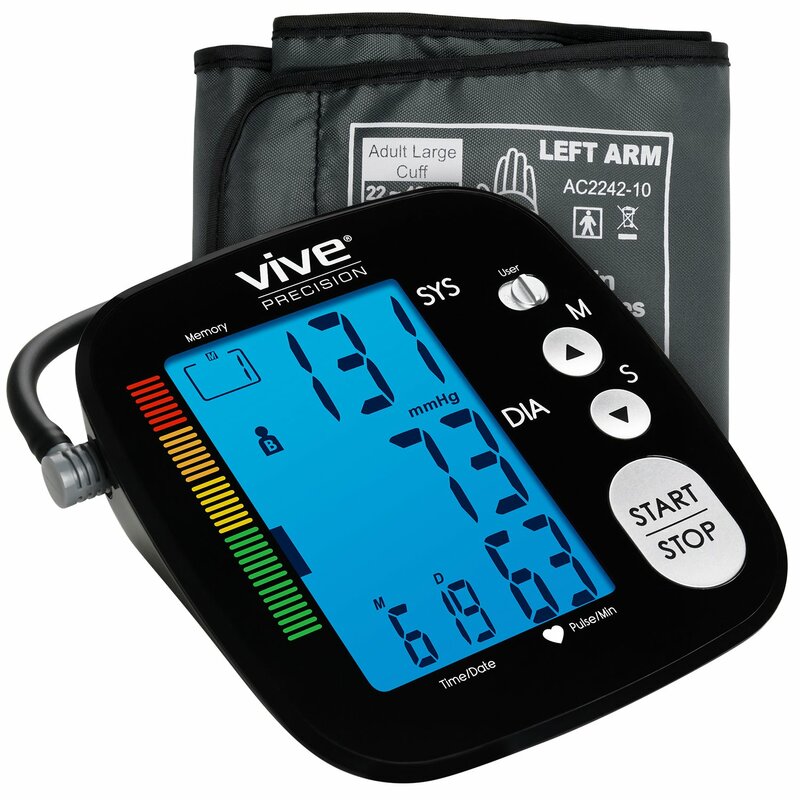 The automatic digital upper arm cuff blood pressure monitor from Vive Precision. Please note that Vive Precision is not paying me to advertise their products on my website. If they would I wouldn’t be spending my time writing this detailed guide for you, believe me! Vive Precision is known for their accuracy and detail eye for quality. Each and every blood pressure monitor is individually tested for accuracy. This helps ensure you that the reading you get is your actual blood pressure. No need to doubt the result! The large and bright display is there to make sure you have no trouble reading the result off the screen. Due to the backlight you can now also effortlessly take your measurements at night or just when you wake up! No need to switch on those lights that early in the morning. The main reason why to my opinion this is the best blood pressure monitor out there is the fact that you get a full 2-year guarantee with this device. Also everything is included right from the get-go. You get a one-size-fits-all cuff, 4 AAA batteries and an illustrated user’s manual. The second you unbox this beauty you are good to go! and retailing at less than $50 this is a must-have device to have in your home. Follow this link to check it out for yourself on Amazon! So are there no downsides to this device? Actually… There are. Some people have reported great inaccuracies with their device when operating it straight out of the box. Sometimes the devices are wrongly calibrated leaving the factory and this can result in faulty readings. Usually you notice by the fact that your blood pressure, according to the monitor, would be sky-high. First of all, remove the batteries. Replace them and go through the steps for setting the unit exactly as is told in the instructions manual. This will enable you to reset the device. Pay attention that when you get to page 8 in the instructions manual, you repeat step 2 and 3 to calibrate the unit. If you did this as explained above, take a reading again and it will be your correct blood pressure! Another good, slightly more expensive blood pressure monitor is the Omron 10 series wireless upper arm blood pressure monitor. 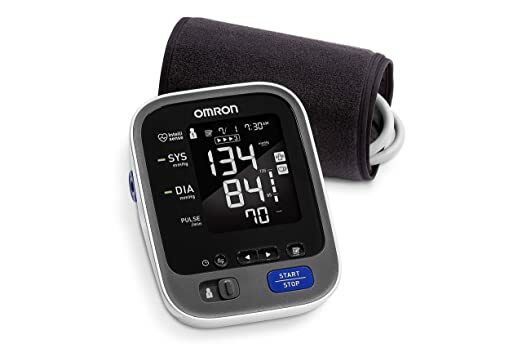 In addition to the big digital screen comparable to the Vive Precision, the Omron blood pressure monitor allows you to store the last 200 measurements. For more than one person even! As a result you can now fully track how your blood pressure develops. Does that new diet really work? Should I actually eat MORE sodium than before? These questions will now remain answered as you track the development of your blood pressure. The cuff is however not as versatile as the Vive Precision. This one fits arms with a circumference between 9 and 17 inches. So if you are petite this might not be the best blood pressure monitor for you. Another possible drag with this blood pressure monitor is that you need to set the time and date before every reading. As a result it is quite cumbersome to get it done as there are a few extra steps that need to be taken. However this is in your benefit thought as increased tracking helps provide more accurate readings. For example the Omron 10 series offers you the possibility to get average readings. If you take 3 readings within 10 minutes this blood pressure meter will give you the running average of those 3 readings. As a result you get a much more accurate read-out! Please note that unfortunately the Bluetooth pairing with smartphones only works if your phone is an iPhone. For Android phones the Bluetooth pairing will NOT work! The real McCoy however are the analog blood pressure monitors. However they need to be paired up with a stethoscope if you want to work with them. In the previous link I made a list for you with the best stethoscope and best analog sphygmomanometer. My choice for analog blood pressure monitor is the MDF Calibra Aneroid sphygmomanometer. Not only is it one of the most reviewed blood pressure meters on Amazon, it boasts the best reviews as well. MDF offers you a 3 year warranty on this gauge. Also make sure to check out for special promo’s where you can get a free stethoscope with your purchase. Find out more about these promotions on this page. They offer good stethoscopes too and I wrote a review on some of them here. This blood pressure meter is latex-free yet stick and crack-resistant. Should any of the tubing crack then note that this device has a 3-year warranty as mentioned above. Or read here on how to prevent tubing from cracking. Each and every device is stress tested 3000 times and calibrated 5 times. Before you can even start you need to take care of a few things. Many things can cause a temporary rise in your blood pressure and as a result give you a false reading. As such make sure you haven’t eaten a big meal at least 30 minutes before taking a reading, or that it has been a long time since your last cup of coffee. Also measure your blood pressure some time after you have last gone to the toilet! Make sure you always use the same arm when you measure your blood pressure. If possible try and remember the arm your doctor or nurse uses and use that same one at home. Before taking your blood pressure try and rest for at least 5 minutes. Sit upright in a comfortable position at a table, with your feet firmly on the ground and your arms resting on the table in front of you. The cuff around your arm needs to be roughly at the same level as your heart in order to get really accurate readings. So make sure that you have a pillow or cushion ready to give your arm some extra support. Don’t hold up your arm as the exertion might cause your blood pressure to spike! Next it is time to measure your blood pressure. Digital blood pressure monitors are the best blood pressure monitor to use at home. As long as you follow the instructions provided with your device such as making sure the tubing points up and is aligned along the visible arteries in your arm. However analog meters come with a bit of a challenge. What you need is a stethoscope. You’ll be listening to so-called Korotkoff sounds. See the video below for a full how-to in measuring BP! I hope you have found this guide useful! Let me know in the comment section below if I have missed the mark completely or if there is something more you’d like me to add! 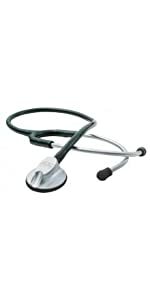 Litmann stethoscopes are usually on sale in a variety of places. 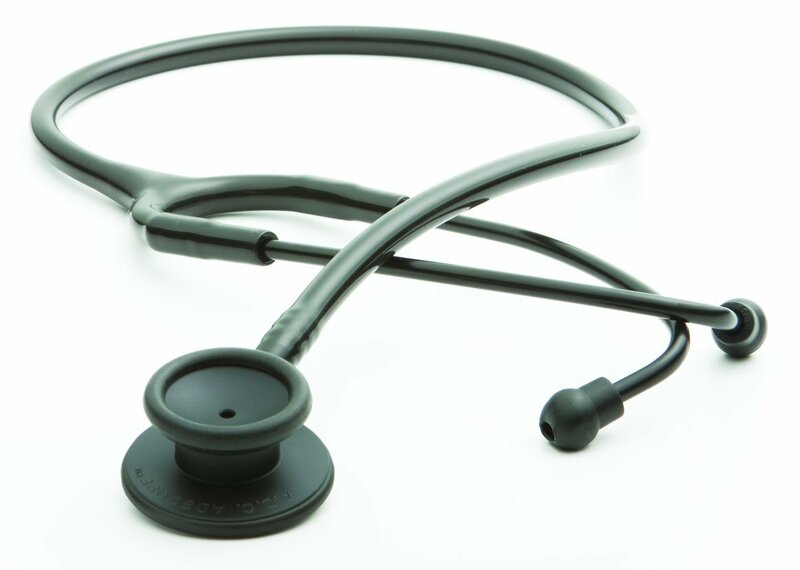 Which Litmann stethoscope sale is next depends largely on the age of the model under review. Usually the models that are about to become obsolete due to the arrival of a newer model gets put on sale. Amazon in general offers decent sales from time to time. 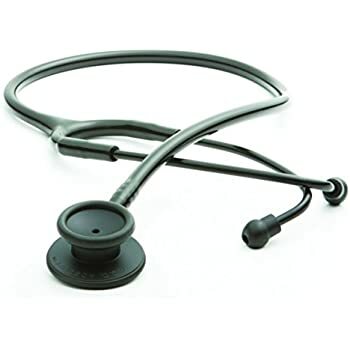 As a result in the review of the most commonly sold stethoscope models here below, the links in there will take you to their respective Amazon pages. Unfortunately I cannot say in realtime whether or not the stethoscopes reviewed are on sale. You’ll have to go check it out for yourself. 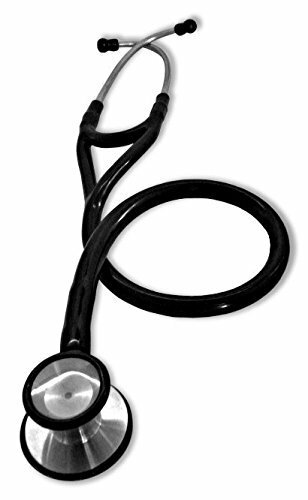 However Amazon is not the only marketplace that offers a Litmann stethoscope sale from time to time. I have personally had really good experiences from stethoscope.com. Usually when you go to their main page they offer a whole list of featured items. Most of the times in this mix are a lot of Littmans. Secondly Allheart offers good sales from time to time and prisewise they give competitive prices on their Litmann selection. I once asked for a batch offer from them and in that particular case they came out on top pricewise. If you are looking for a discounted deal then other than Amazon those would be the two other sources I’d start looking. However as mentioned, the links below will take you to Amazon so to make it easy for you I listed some of the features Litmann stethoscopes have. Headset tension is easily adjusted. Simply squeeze together or pull apart the eartubes. Snap-tight, soft-sealing eartips conform to individual ears for an excellent acoustic seal and comfortable fit. 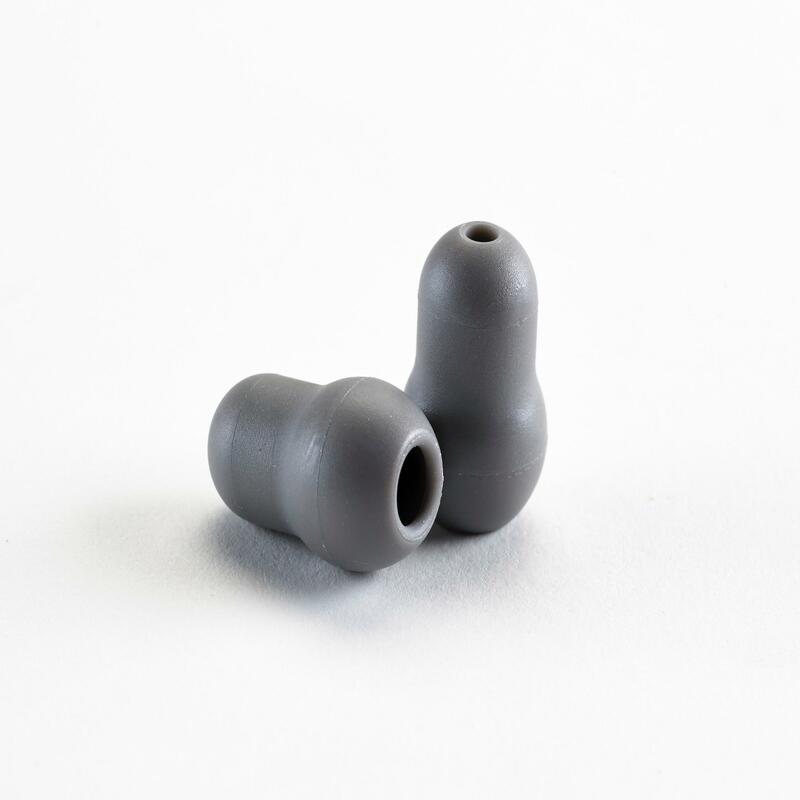 Eartips snap firmly onto the ends of the eartubes and, for safety, require a significant effort to remove. Resilient next-generation tubing retains its shape and flexibility even after folding tightly into a pocket. It provides longer stethoscope life due to improved resistance to skin oils and alcohol. Secondly it is less likely to pick up stains. In addition the next-generation tubing is not made with natural rubber latex. This is a benefit to sensitive medical professionals and their patients. Lastly to play its part in the protection of human health and the environment, the next-generation tubing does not contain phthalate plasticizers. 3M Litmann Stethoscopes are used by millions of medical professionals around the world who are dedicated to achieving the best patient outcomes. 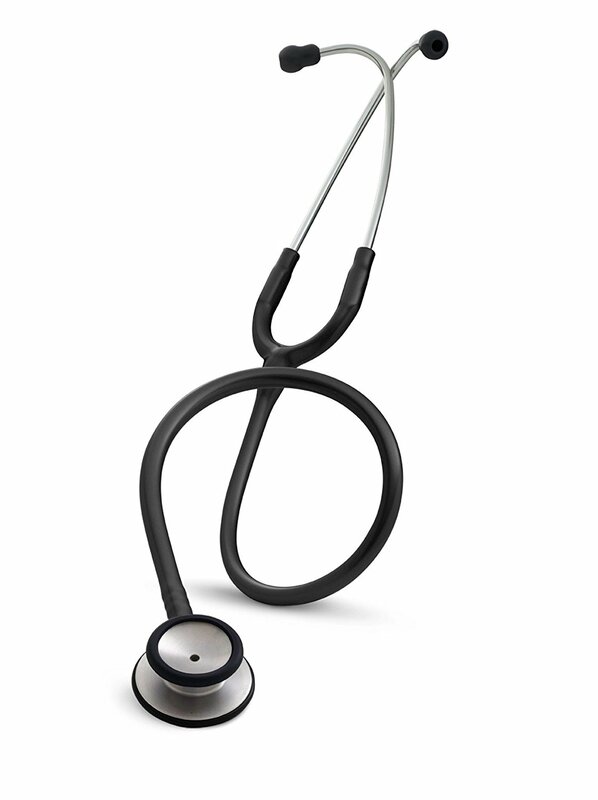 Litmann stethoscopes offer superb acoustic performance, consistently high quality, and outstanding value. Wearing a Litman stethoscope is an expression of your commitment to medicine, and personal success. Check the overview below to see if Amazon is doing a Litmann stethoscope sale. Medical Grade Stethoscope – Which One is the Right One for me? Let’s separate the toys from the real deal. 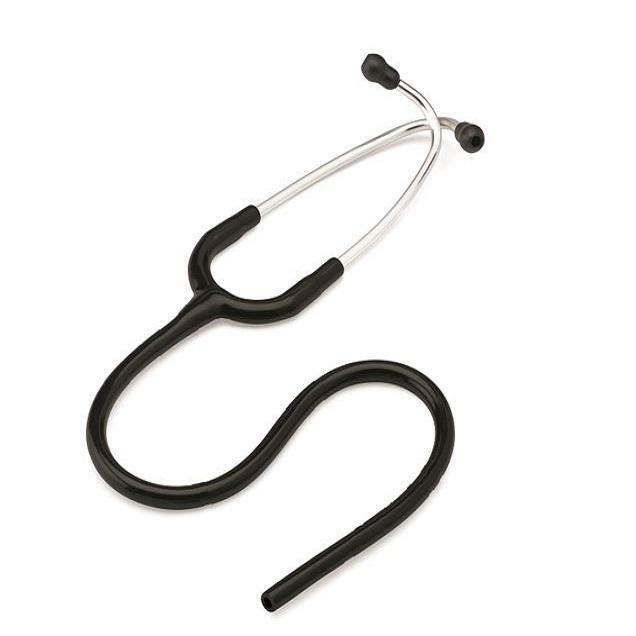 Medical grade stethoscope come in all shapes and sizes. However few can truly be called medical grade. Everything depends on how good the acoustics are in the stethoscope at hand. Also different medical professions call for slightly different tools. For example if time is of the essence, you’d want to have a stethoscope with a tunable diaphragm. As a result you’ll save some during an auscultation that might mean the difference between life and death. 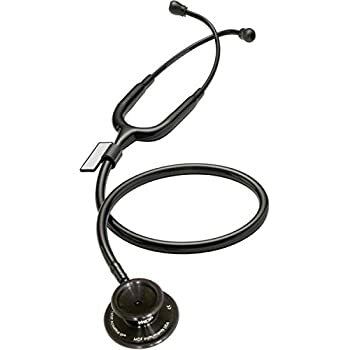 This will sound like a drag but as many of you might be aware, the Littmann Cardiology series offer by far the best acoustics of any stethoscope out there. However they’ll cost you an arm and a leg to get one. At the same time you can assess yourself that what is the cost of a Littmann now, compared to a usage of 7 years on average. Then the price aspect of your purchase diminishes considerably. However for the sake of argument let’s review the Littmann Cardiology 4, which to my opinion is best suited for nurses at the moment. In short what we are all used to hearing from a Littmann cardiology series. However this does not necessarily mean every nurse needs to buy one today. If money is hard to come by when you start your studies or if you don’t feel like spending the $150+ USD for a medical grade stethoscope then there are other options out there. You don’t even have to change brands! If your Littmann tubing has cracked, read here what to do next! As we can see these stethoscopes look very similar to each other but the main difference lies in the finishing and in the acoustics. That does not mean the acoustics of a Littmann classic would be absolutely terrible. Far from it. However there is a reason why the Cardiology series are recommended to everyone. I also love the slogan of Littmann “For the sounds you NEED to hear”. In that sense the Cardiology is unbeatable. However as nurses most likely won’t be required to do as intensive auscultations as diagnosticians then nurses will get away with a Classic model. What about the Lightweight model? Unfortunately you won’t see the lightweight model listed here. There is a good reason for that as from reviews I have noticed that the lightweight model has acoustic issues. More so the lower frequency sounds seem to be tricky to hear with a Lightweight model. As a result since the purchase price is the same, I recommend going for the Classic model. The job of an EMT is an extremely demanding one. Time is of the essence, often you are working under extremely stressful conditions. I’d like to see anyone try and make a successful auscultation under those conditions! As an added difficulty level at times auscultations have to be done in an ambulance or outside. This means outside white noise seeping in. 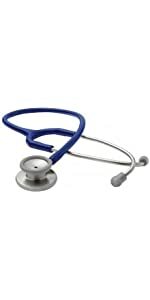 As a result you need a stethoscope that can correctly manage and dissipate the background noises. “So you hear the sounds you NEED to hear”. I love that slogan! By far the best medical grade stethoscope for EMT’s is the Littmann MASTER Cardiology. 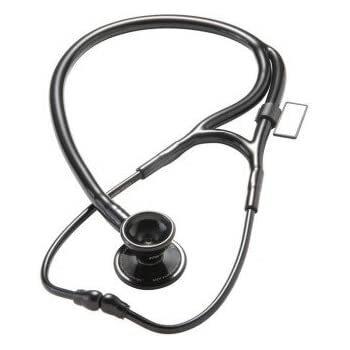 You can’t go wrong with a Littmann Cardiology series stethoscope! Your next question will be “So does this mean Littmann only offers the best medical grade stethoscopes?”. The answer is that they definitely aren’t the only ones who offer good quality stethoscopes. However they are the most consistent quality-wise. Other stethoscope manufacturers might have stethoscopes that work just as well, but the tubing won’t last as long. Others might offer cheaper stethoscopes but the acoustics aren’t nearly as good as a Littmann stethoscope. 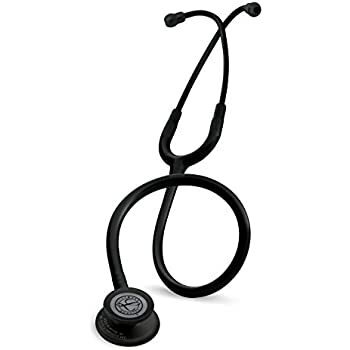 One stethoscope that stands out though thanks to a pretty hard quality guarantee is the Vorfreude stethoscope. A german engineered wünder-stethoscope. You can check the review I did on that one here. Do you agree or disagree with our list of medical grade stethoscopes? Do you think we missed one? Let us know in the comments below!